Meng Wanzhou, the chief financial officer of Huawei, was on December 1 arrested in Vancouver on US fraud charges. Huawei Executive Meng Wanzhou faces a possible extradition to the US. China's foreign minister warned Tuesday against the "bullying" of any Chinese citizen, amid a diplomatic fracas over the arrest of a Huawei executive on a US warrant in Canada. 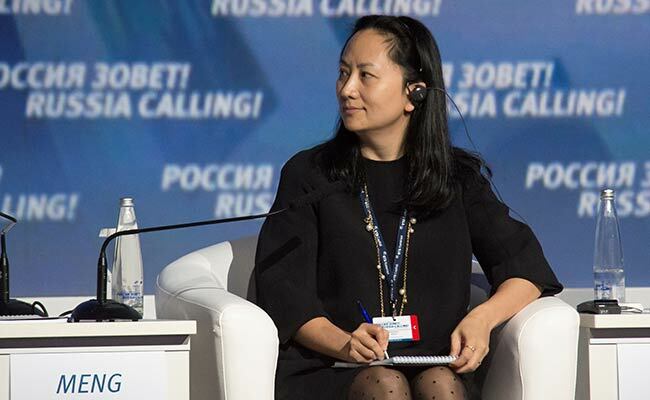 Meng Wanzhou, the chief financial officer of telecommunications behemoth Huawei, was on December 1 arrested in Vancouver on US fraud charges related to sanctions-breaking dealings with Iran, infuriating China. "The safety and security of Chinese compatriots are our priority, China will never sit idly by and ignore any bullying that violates the legitimate rights and interests of Chinese citizens," Foreign Minister Wang Yi said in a speech in Beijing, without directly referring to the Huawei case. "The Canadian government did not do this and the Chinese government learned this through other channels," foreign ministry spokesman Lu Kang said at a daily briefing.